Yu-Gi-Oh! 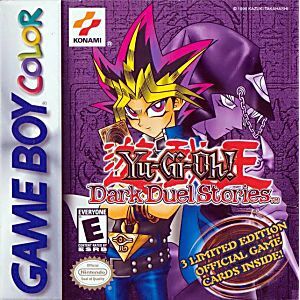 Dark Duel Stories Game Boy Color Game Cartridge Cleaned, Tested, and Guaranteed to Work! It's a good game to pass the time. It was fun when I was younger; now, it's just okay. It's a bit repetitive because you have to beat the same person five times and there is usually more than three people per level.